It’s time for Star Trek discovery! No, not the new TV series. 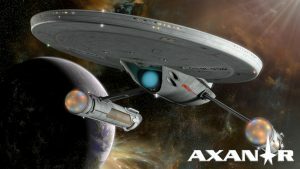 I’m talking about the next phase of the Axanar copyright infringement lawsuit: legal discovery. Last week, former Axanar marketing director and tech guru, Terry McIntosh, posted on Facebook that he had just been subpoenaed by CBS and Paramount to be deposed as part of the copyright infringement lawsuit against Alec Peters and Axanar. Terry is not in any legal peril himself, as no other defendants other than Alec Peters were named in the lawsuit. Instead, the studio lawyers will probably just ask for copies of all of Terry’s correspondence (e-mails, IMs, chats) with members of the Axanar team, and the studios might set up a deposition to ask Terry some (maybe even a lot of) questions either in person or over the phone. And this means that the (coincidentally named) DISCOVERY phase of the lawsuit is now in full swing. So what does that mean? 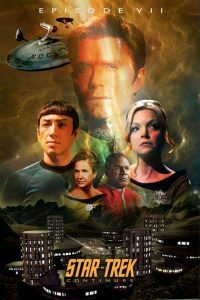 STAR TREK CONTINUES releases their seventh episode “Embracing the Winds”…and sparks new debate about the fan film guidelines! STAR TREK CONTINUES’ seventh full-length episode, “Embracing the Winds” is–at least in my opinion–a masterpiece. It’s a MUST SEE+ Star Trek fan film and possibly one of the best ones released to date. Fan reaction has ranged generally from positive to gushing, with almost no one saying anything overall negative (only pointing out this or that little issue…and we Trekkers always have our “little issues”). But really, STC has continued to up their game, and the quality and watchability of their newest offering is superb. The acting, writing, directing, pacing…everything is top-notch. There’s not of a lot of “wasted” scenes where the viewer feels the production has indulged itself too much and stretched things out. 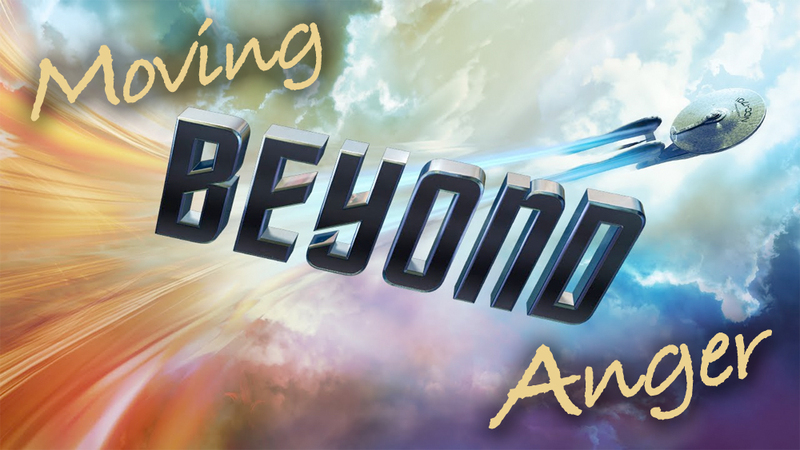 In short, it’s a tight, exciting story that does what Star Trek has traditionally done so well: take a modern day issue (in this case, a very politically charged one at the moment) and provide a “safe” mirror through which we can examine our society and beliefs…and look at ourselves with a critical eye. 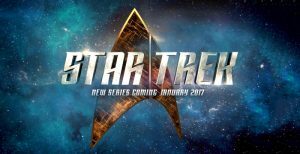 Author Jonathan LanePosted on September 4, 2016 November 4, 2016 Categories Editorials, NewsTags Fan Film Guidelines, Star Trek Continues, Vic Mignogna20 Comments on STAR TREK CONTINUES releases their seventh episode “Embracing the Winds”…and sparks new debate about the fan film guidelines! CARLOS PEDRAZA has some questions about the Fan Film LETTER WRITING CAMPAIGN! Word is beginning to spread about the Fan Film LETTER WRITING CAMPAIGN, and I’m very encouraged so far. After just one week, we’ve already had 75 packets mailed to executives at CBS and Paramount with the focus group results and recommendations from the 1,200+ members of the SMALL ACCESS Facebook group. During the next week, Mike Bawden will be trying to get us some press coverage in the mainstream media, but there’s already been some interest just around fan circles. Earlier today, I did a podcast for an upcoming episode of TrekZone (look for it this weekend). And Shane Stacks told me he’ll be mentioning the campaign on the excellent Shane Plays Radio and Podcast. SMALL ACCESS: the focus group! There still seems to be some misconceptions about the SMALL ACCESS protest campaign. Some say we’re all about a boycott and want to destroy Star Trek. 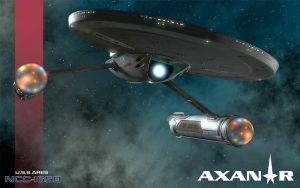 Some say we’re under the control of Axanar. And most people have no idea why we’re doing surveys each day. First and foremost, a boycott implies not watching or supporting Star Trek at all. We’re actually suggesting the opposite. We want fans to WATCH the new TV series, not avoid it completely. We’re simply suggesting a designated subscriber hosts a viewing party and the rest of the friends who come over pitch in to share the cost of the subscription (or pay for the host’s dinner or whatever seems the most legal). In the end, groups of Trek fans get together to WATCH the new series, NOT to avoid it. If some people want to boycott completely, I won’t stop them. But that’s NOT what the SMALL ACCESS campaign is about. As for being under the thumb of Alec Peters and Axanar, that’s simply not the case. In fact, in a recent poll on the SMALL ACCESS Facebook group, I lobbied hard for a compromise of raising the 15 minute time limit to 30 minutes. That wouldn’t help Axanar much, as that feature film was planned to be somewhere around 90 minutes or even 2 hours. 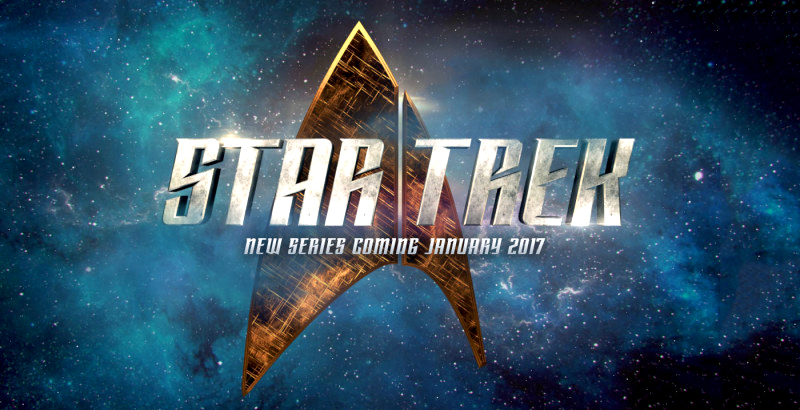 I was actually trying to help find a way for Star Trek Continues and New Voyages to still get made because I really enjoy both fan series. So no, Alec Peters isn’t pulling our strings, and the SMALL ACCESS campaign is completely independent from anything Axanar. Many in our SMALL ACCESS group like and support Axanar (and yes, some members don’t), but our goal is to convince that studios to REVISIT and REVISE the new guidelines. Period. We’re not about pointing fingers at any particular fan film. And that brings us to the big question: what the heck do we do in our Facebook group day after day? Some people imagine that we just sit around, bitching and griping and talking about how Star Trek should just die. Ummmmmm……no with a capital NO. Instead, each day I post a new online survey, and we take a daily poll. In fact, that’s the MOST IMPORTANT thing we do! Author Jonathan LanePosted on July 11, 2016 July 11, 2016 Categories EditorialsTags CBS, Fan Film Guidelines, Paramount, Small Access4 Comments on SMALL ACCESS: the focus group! Now that Project SMALL ACCESS has picked up nearly one thousand active participants on Facebook in just three days, we’re getting noticed. Obviously, we have a fair number of supporters–and still growing!–but there are also detractors out there calling out our campaign for all sorts of reasons…some valid, and some very much not. 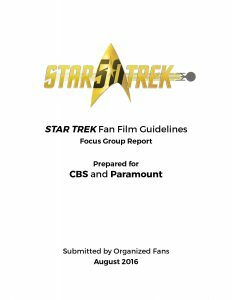 I was having a discussion a couple of days ago with one of the many Trekkers who is furious about these new Star Trek fan film guidelines from CBS. “It’s obvious that they just wanted to destroy all fan films forever!” he said with anger and disgust. He was shocked…especially since I’ve gone so far as to set up the SMALL ACCESS protest. He couldn’t believe I was being serious! But I was. My wife is an attorney, and I used to work closely for many years with the Star Trek licensing department (back when they were still Viacom Consumer Products). Granted, I wasn’t in the conference room at CBS when these guidelines were written up, but I still think I know what happened and why it happened…and it was all because the wrong people were in the room. Want to send a loud message to CBS? Don’t want to read a long blog? Then just click here. 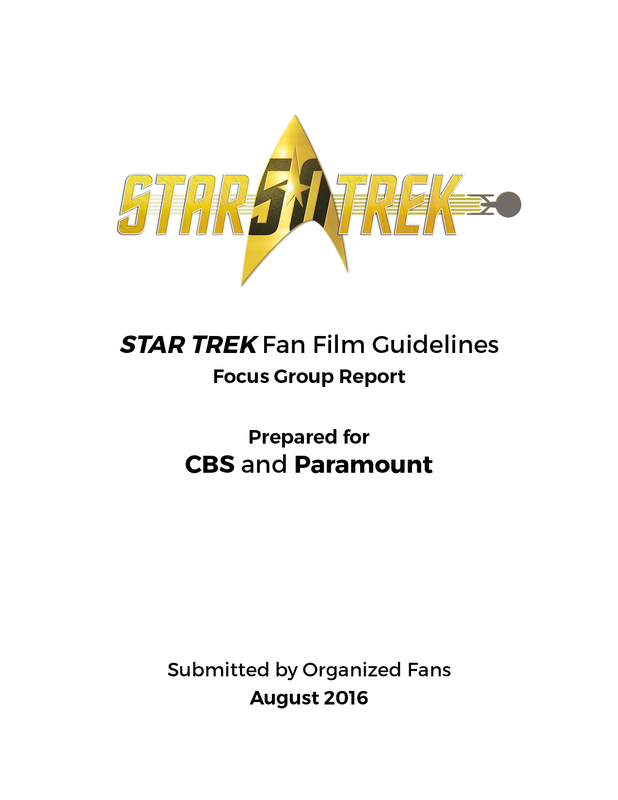 By now, you’ve likely heard that CBS and Paramount have finally, after decades of silence, released a series of guidelines for Star Trek fan films to follow and not get sued. Unfortunately, the guidelines were written by a group of over-caffeinated lawyers and licensing employees with little to no understanding of the concept of Star Trek fandom. In short, these rules would essentially obliterate nearly all past and current Star Trek fan films and series. …unless we make them see it. Author Jonathan LanePosted on June 24, 2016 Categories EditorialsTags All Access, CBS, Fan Film Guidelines, Paramount, Small Access3 Comments on Want to send a loud message to CBS? Four weeks ago, I wrote a very impassioned op-ed decrying that Trekkers should be fans and not lawyers. I am now going to turn myself into a complete hypocrite and become an armchair attorney myself…partly because of the shameless reason that it seems to boost readership of one’s blog but also because I think there’s a fascinating details about the latest Axanar lawsuit news that’s not being reported at the moment.